Greeting cards: Worth the price? Two small incidents have caused me to consider the value of greeting cards. 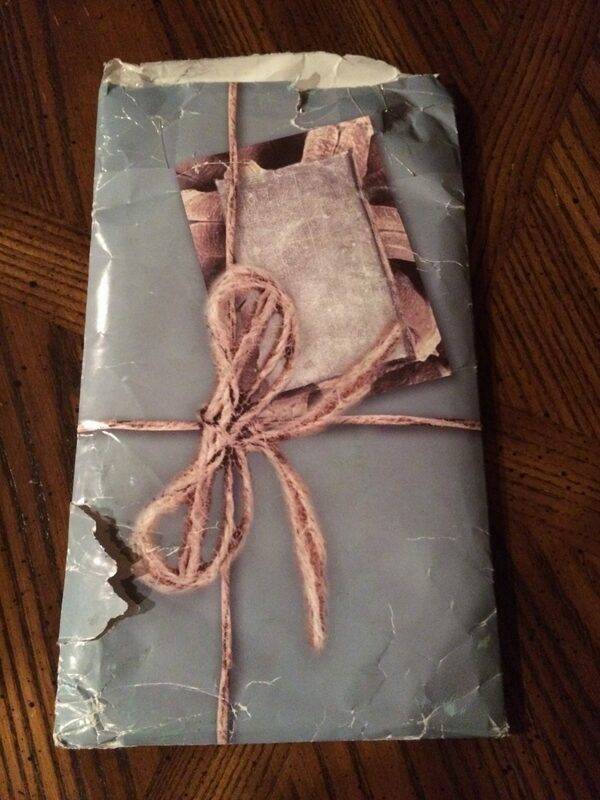 First, UPS delivered a damaged envelope to my doorstep. The envelope had been ripped open, and it appeared that all the contents had been deliberately removed. Shock, anger, and sadness cycled through my system, but I regret most that I will never see the Mother’s Day card my daughter chose for me, or read her message. (Her messages are always lovely.) We commiserated on the phone. She described the small gifts. “It’s the thought that counts,” I said. Yes, I filled out a loss report online (no reply), but the inexpensive gifts are irreplaceable. It was her time spent choosing the card and contemplating the sentiment, and my moment to feel loved and appreciated, that was lost. Also lost, a little notepad that would have reminded me of her everytime I jotted down something I wanted to remember. And a bar of scented soap. The card did not contain anything redeemable to anyone else, but the disappointment the culprit may have felt is no comfort. Best case, perhaps some other mom’s day was brightened by soap and a notepad wrapped in pretty paper. Greeting cards are getting expensive. Should we stop exchanging them? 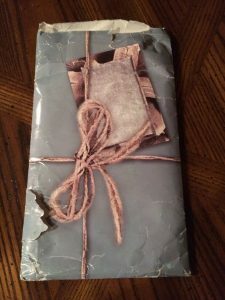 I have received some lovely online greeting cards, but I spend so much time online that I prefer the tactile pleasure of opening an envelope, pulling out a card, running my hand across a glossy or pebbly surface, and setting the card in a place where it will call out to me as I pass by. I thought about that. For a minute. Amazon is a godsend for us mountain dwellers, but the thought that they are now in the greeting card business? Blehh! Amazon is like a peddler, always trying to sell me something, and I’m tired of enriching Bezzo’s coffers. Convenience ian”t the only issue in a purchase. I miss the shopping experience that involves the senses (before they began treating clothing with formaldehyde that makes my eyes water). My Mother’s Day card from my son arrived snail mail. (Theft is also an issue with the government postal service, but his remembrance arrived intact.) Both my kids like to support local artists. This card featured a photograph of rippling water in a creek that feeds a Santa Cruz beach. Which gives me an idea. Two, actually. First, in the spirit of the “slow” movement (think slow food and slow church) I am going to seek out slow shopping experiences. Online is all about fast and convenient acquisiton. Since I’m a recovering acquisionist, I think slow is my ticket. If I’m going to invest in a nice card, I think I’ll peruse the boutique stores for local goods. Generally, artists cards are blank, so I’ll need to start collecting verses, Of course, then I have to worry about copyrights and attributions. So maybe I will create some of my own. If you have a favorite verse that is in the public domain, please share. There are actually websites that list greeting card verses. It seems that Author Unknown has penned a slew of them. Then, of course, there is the delivery issue.